Earlier this week, Military Times published “Arlington at 150: Celebrating America’s Heroes,” a multimedia feature on Arlington National Cemetery. In honor of Arlington’s anniversary and Memorial Day, I thought I’d reprint a column I wrote, “Surrounded by heroes,” originally published in the Dec. 8, 2008 issue of Air Force Times and the other Military Times papers. On the cold, rainy morning of Nov. 13, a team of eight airmen stood at attention in Section 59 of Arlington National Cemetery. At their leader’s command, the pallbearers faced left, snapped their heels together, took a few steps in place, and then marched as one toward the hearse carrying my mother’s casket. For my family, the previous month had been the most difficult of our lives. 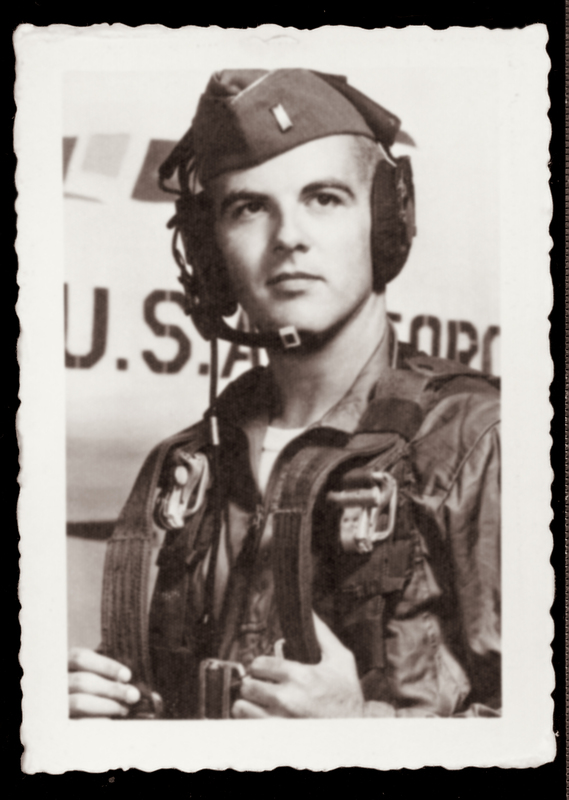 Not only did my mother, Pamela Losey, pass away Oct. 13, after a battle with pancreatic cancer, but 11 days later, my uncle, retired Air Force Lt. Col. Donald Losey, also died. Those two tragedies, one after another, were understandably devastating to my family, and especially my father, retired Air Force Lt. Col. Early Losey. But one thing that has helped ease the pain, if only a little, is the care and honors that military service members and retired veterans have shown us. The generosity began when it was time to bury Uncle Donnie. He was a brilliant engineer and an Air Force reservist. As a navigator on KC-135 and C-141 cargo planes in the late 1960s and early 1970s, he helped fly more than 50 sorties to Vietnam that kept soldiers there supplied and armed. However, Donnie had a hard life, and over the past decade, his health slowly deteriorated in a Kentucky nursing home. My father and his remaining brother, retired Air Force Col. Franklin Losey, both expected the Oct. 28 gravesite service to be a dour, sparsely-attended ceremony. But the funeral home contacted the Veterans of Foreign Wars Post 6423 in Erlanger, Ky., who arranged an honor guard of veterans to carry Uncle Donnie’s flag-covered casket. The veterans did not know Donnie in life, but they knew he had served alongside them — and that fraternity was enough for them to make sure he was sent off with respect. After the minister said a few words, seven of the veterans fired a 21-gun salute, and a recording of “Taps” was played. Two others folded the flag 13 times, presented it to my father and Uncle Frank, and thanked them for Donnie’s service. One veteran picked the 21 spent casings from the grass and gave them to Frank, who split them with Dad. It’s a common ritual conducted hundreds of times each day, sadly, as our World War II veterans die and as young men and women continue to fall in combat. To us, those traditions finally restored to Donnie the dignity that poor health had cost him in his final years. Two weeks later, we laid Mom to rest at Arlington. As a former second-grade schoolteacher and homemaker, she was very different from the soldiers and war heroes usually buried on the grounds of Robert E. Lee’s former home. But because she supported her husband in his military career, she has her own place there. As we gathered in the administration building before Mom’s burial, I watched a live video feed of the Tomb of the Unknowns, and saw a lone soldier slowly march back and forth in the rain. That soldier and others, like the Arlington airmen who carried my mother and the Kentucky veterans who fired the salute for my uncle, are extraordinary people. It is humbling to know that they spent days drilling and practicing to make sure my mother and uncle, complete strangers to them, were properly honored. Nothing can heal the pain that comes from losing a mother far too soon. But as we followed the airmen carrying her to the gravesite, I looked past a treeline and saw Section 60, where those killed in Iraq and Afghanistan are buried. After the service, as a fierce wind whipped leaves from the trees, I saw that many of the graves around Mom’s were of recently deceased World War II and Korea veterans, and I felt proud that she was surrounded by heroes. Arlington is a living monument to our nation. As it grows, grave by grave and person by person, it constantly records our history and those who shaped it — not just legendary presidents and generals like John F. Kennedy, Douglas MacArthur and Omar Bradley, but also people like former slave James Parks, who helped bury Civil War casualties on the Arlington estate and build Union Army fortifications, and Capt. Maria Ines Ortiz, an Army nurse who in July 2007 was killed by an insurgent’s mortar in Baghdad’s Green Zone. And a wife and mother named Pamela Losey. She is part of that story now.